Aggressive dog behavior can be shown by most dogs, but serious problems mostly occur with owners who perhaps unwittingly encourage aggression. ...a variety of animals, also if you haven't given them many life experiences, then these can be a contributing factor to aggressive dog behavior. 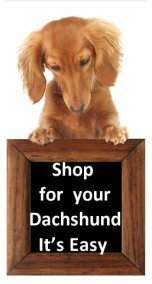 Smooth haired Dachshunds have the potential to be aggressive but these little dogs can be wonderful pets if socialized well as a puppies, early learning is the key for reducing the risk of aggression. It is a good idea to consult your vet to check if there is any health problem that may cause your dachshund to show signs of aggressive dog behavior. If your dog is in pain he may bite, some dachshunds have problems with back pain; also take care when touching an injured or ill dog. This type of aggression is usually shown against the owner and family, your dog is challenging your authority. You need to establish your dominance over the dog, tone of voice low and commanding, body posture controlling, expression steady and determined so he knows exactly who is in charge. Male to male aggression is the most common. But if you have your dachshund neutered and for a male spayed for a female then this type of aggression will not be an issue. Dogs that bite strangers out of fear do so because they were not socialized as young puppies. These dogs when young ran away and hid when they felt threatened. Never push a fearful dog into situations where he cannot cope, give him time to settle himself, tell strangers not to pat him until he accepts them. All dogs like to chase but some breeds like terriers, hounds and of course dachshunds are genetically primed to chase and the chase is such fun. Attend obedience training so you have your dog under control when out and satisfy the natural desire to chase by playing games like fetch and chase me. As your dog matures he becomes confident on what he feels is his own territory, such as your home or even your car, he may become very territorial. If you have socialized you dog with strangers in these areas from a young pup, he will not see strangers as a threat, so will accept them as nothing to worry about. Be aware of puppy’s who tend to guard toys or food, act to curb this behavior early, prevention is better than trying to cure this problem. Encourage your pup to take food gently from your hand, so he becomes used to you being near. Train your dog to eat while you touch him and even take the bowl away. Put your hand in the bowl and offer a tasty treat, add more food to the bowl so your dog is rewarded by having you there. Your dog learns to enjoy you being with him at meal time and not feel threatened. If you think your dog could bite, it would be best to keep the dog contained or use a muzzle to ensure peoples safety until you get professional help. There are some natural remedies that can assist, like the PetAlive Aggression Formula for Stressed and Aggressive Pets this has been found to be very helpful with dogs showing aggressive tendencies. The best idea is to consult a dog behaviorist who specializes in aggressive dog behavior. Your dog will be assessed and possible causes and triggers found of the behavior. 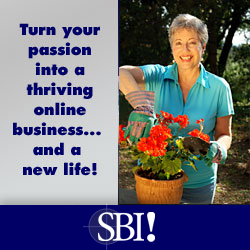 Then a training and management program will be drawn up to help you overcome the problem. This book teaches the clicker method of training which seems to be successful, it is well written and easy to understand. 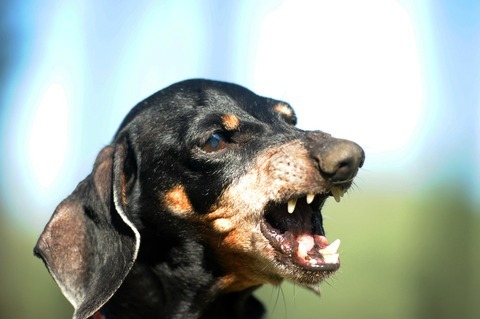 A popular resource for owners of dachshunds and other dogs with aggressive issues. These small clickers work well - easy to keep, handy and do not have too loud a click. Get your dog’s attention every time you click. This book is packed with helpful, practical information for every dachshund owner, but especially for owners of dogs showing aggression. It may seem like a lot of reading but it is worth it. Well written and presented clicker training book. Excellent source of information for owners with dachshunds that really get upset in certain situations.